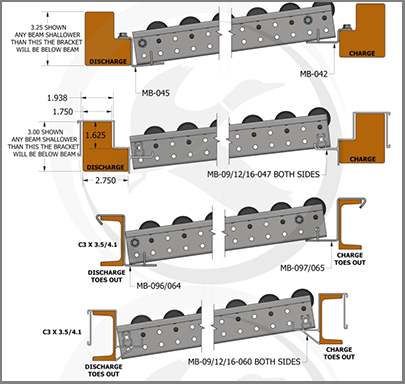 One of the key features of Mallard’s complete and flexible line of carton flow rack systems is our variety of custom mounting brackets designed for all types of pallet rack, both structural and roll-formed. Carton flow is more than wheels and rails – for each carton flow product, we have design considerations to ensure the best long-term functioning product we can manufacture, including the hardware. Properly mounted and secure carton flow isn’t a luxury, it’s the only way to go, and because our mounted supports are customized to your needs you are assured they will work for you. 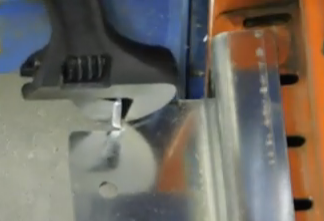 Brackets are recessed on front and rear beams ensuring no interference with RFID, pick-to-light and pick-to-voice operations for both put-away and pick operations. 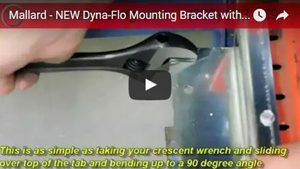 For Dyna-Flo carton flow, try our new retention angle bracket. The new design requires only a wrench for assembly and provides a hassle-free way to secure the carton flow track to keep it from shifting left and right while cartons flow down the lane.